The Los Angeles Rams traveled all the way to (south) Detroit to face the Detroit Lions in an ugly but clear victory for the good guys. In an ugly game, the Rams clinched the NFC West in Week 13, 30-16. The Lions were faced with a daunted task. Already a big underdog even with health, the Lions limped into the game with QB Matthew Stafford missing additional weapons in WR Marvin Jones Jr. and RB Kerryon Johnson. Here are how my five Lions I tabbed pre-game fared against the NFC West Champs. Stafford had a tough game. Sacked four times, Stafford completed 20/33 passes for 245 yards, one touchdown, and one interception. He finished the game with a 40.2 QBR (slightly below average). 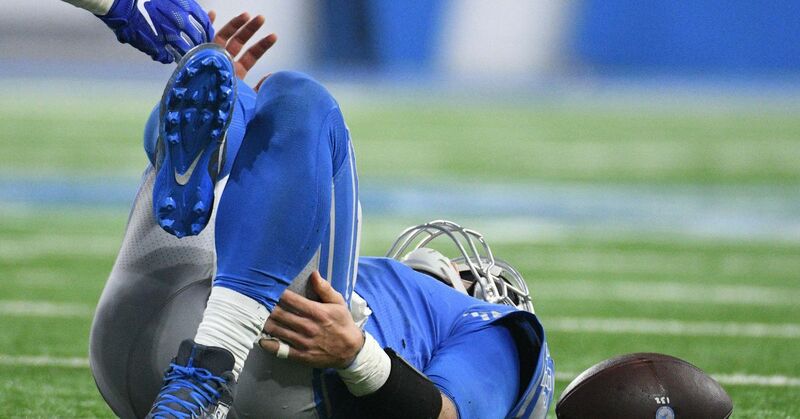 The Lions used some interesting trickery to make the game close but in the end, Stafford threw a game-ending interception to Rams CB Troy Hill. After touting Okwara as an under-the-radar pick, he didn’t impress with only two passes defended logged in the stat sheet. Overall the Rams did alright against the Lions although Damon Harrison played well. With Johnson out of the contest, Blount got the bulk of the carries. Although known to be a sledgehammer of a runner, Blount showed off some good athleticism with his 24 yard scamper. Blount finished the game with 61 yards on 16 carries. Slay had a decent game against the Rams receivers. Finishing the game with three total tackles, Slay did get beat by Rams WR Robert Woods on a crossing route late in the second quarter. Ragnow had a rough game, as most do when facing Rams DL Aaron Donald. For the game, Donald had five tackles (all TFLs) and two sacks while getting to go against the rookie. Frankly, leaving a rookie alone in many situations against the best defensive player in the NFL is not a recipe for success.